Hello everyone! In this new article we will discuss the shoulder exercise for strength. Many people who train daily in the gym often forget an important part of their body: the shoulders. The shoulders are one of the most important parts that we must work when we exercise. And this shoulder it also helps to improve our figure. If you want to increase muscle mass of the shoulders, it is time to start a specific training routine that helps you achieve this goal. 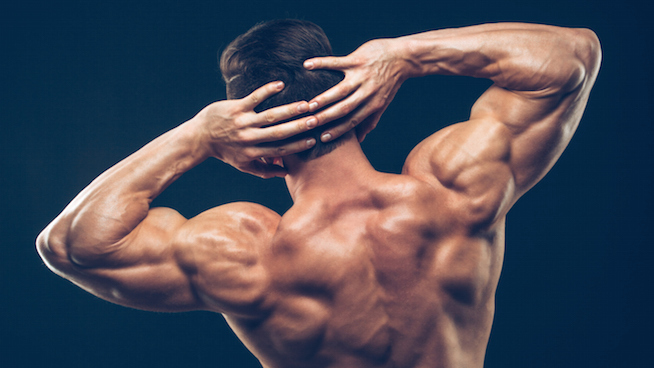 Did you just start going to the gym and want to strengthen your shoulders? As you already know, the shoulder is made up of two main muscle groups. On the one hand the deltoids, which are the muscles seen from the outside of the body. And on the other hand, the rotator cuff group, which are inserted into the joint and are responsible for allowing many of the movements that we execute with the shoulder. When we expand the deltoids through an exercise routine, we are providing our body with a greater width at the top. In fact, many athletes who have excessively wide deltoids have a ‘V’ body structure, thus showing very broad shoulders and a much narrower waist. In addition to strengthening the deltoids, and when we focus on carrying out exercises for the shoulders, we must also devote some training exercises to the strengthening of the rotator cuffs. And, by strengthening this muscle group, we can also prevent many of the most common deltoid muscle injuries. When it comes to the best exercises for the shoulders, the front elevations are one of the simplest and most effective alternatives. With this exercise we work the middle deltoid and the posterior in a single movement, getting toned this area effectively. In this aspect it is important to choose dumbbells with the appropriate weight, those very light will not allow you to work the muscle properly, while if you choose a lot of weight it is possible that you do not perform the movement in the appropriate way and you risk injury. To make this exercise properly you should repeat the movement as shown in the image, stretching the arms to the front at chin height or a little lower. Make 4 sets of 12 repetitions each and progressively increase the amount when you gain resistance. Like the frontals, the lateral elevations are an excellent alternative to tone the shoulders efficiently. With them, the anterior deltoid and the middle are worked on; therefore they must be complemented with the frontal ones to be able to exercise this area in a global way. In order to carry out the movement properly, the arms must rise up to shoulder height, and then descend to the original position. You can work one arm first and then another or do it with both at the same time. As in the previous case, the choice of weight is important; you must choose the kilos that allow you to work the muscle effectively. Make 4 sets of 12 repetitions each and increase progressively once you gain strength and strength in the area. Another of the best exercises for the shoulders is the seated dumbbell press, a practice with which you will be able to work the anterior, posterior and middle deltoid muscles as well as the biceps and the trapezius, being a complete option for the arms and also to help strengthen the back. You should sit on the bench with your back straight, take the dumbbells at shoulder height and stretch your arms completely above your head; you will feel like in this movement the work is concentrated mainly in the shoulder area. You can perform 4 sets of 12 or 15 repetitions, depending on your resistance. The frontal press with bar is a complete exercise, because with it we work not only the shoulders when toning the middle and anterior deltoids, but also strengthen the triceps, the trapezius, and the chest major. To do it correctly we must take the bar at shoulder height and raise it above our head in a single movement, therefore it is important to choose an appropriate weight that we can handle. Do 4 sets of 12 or 15 repetitions. Rowing around the neck is probably one of the most effective exercises due to a large number of muscles involved. This alternative not only works the shoulders but also the shoulder blades, the biceps, the forearms, the abdominals, the gluts and even the lumbar ones. Doing it is very simple; with your back straight and your legs slightly separated you will have to grab the bar with your hands separated by a distance of about a span and raise it up to the neck to then lower it to the initial movement. Do 4 sets of 15 repetitions each. So far today’s article. I hope you liked it and it will be helpful when planning your shoulder exercises for strength. If you have any questions, comments this article and I will answer you happy. A hug!